These bad boys showed up on eBay a few weeks ago so I thought I'd pass them on to you for a Friday Flashback. 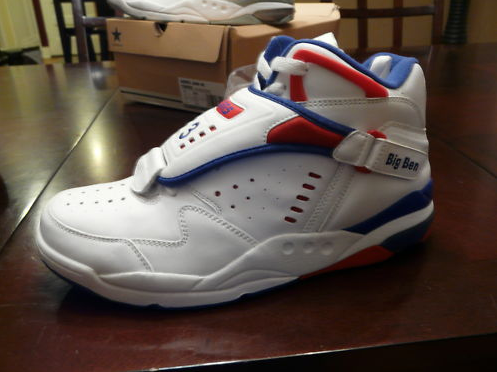 These are the Converse Aero Jams that Converse last reissued in 2003...aka it's been too long bring them back. As it would appear there were at least talking to Ben Wallace about rejoining team Converse. For those of you that don't remember the Pistons won a Championship in 2003, so that would have been nice. As you can see there is a #3 on the lace cover where Larry "Grandmama" Johnson's famous #2 usually was. Also there was a Big Ben on the heel strap. Oh well, just another case of "what might have been." Nice to see the Friday Flashback again!